CD release Party "Red Dirt Remarks". If the Eagles, Steve Earle, Dave Matthews and James Taylor had a lovechild, they would have named him Darryl Tonemah. Tonemah had no idea that when he began writing songs in college, that several years later, he would have played thousands of shows, made numerous radio and TV appearances, released six albums with multiple awards and nominations, all while building up what has become an international fan base. Despite all of these successes, Tonemah retains a deep connection with his roots and a gift for intimate storytelling that has become his trademark. A full-blooded Native American (Kiowa/Comanche/Tuscarora), growing up on and off reservations throughout the country, as well as his "day job" as Dr. Tonemah, has given him a unique perspective that is evident in his song writing. "I have had the blessing of seeing and experiencing a lot of things during my travels – some great, some heartbreaking, some funny. They all inspire song ideas, lines, chord progressions, and drum patterns scribbled on pieces of paper that I had in my pocket. They usually all manage to end up in the back seat of my car. When I can't fit anything else back there, I figure it's time to record another album." When recording his albums, Tonemah has worked with some of the finest session players and producers in Nashville to make sure the songs are presented in the best possible light, true to his vision of creating a heartfelt piece of music, touching on feelings and experiences inherent in everyone. Every recording maintains his unpretentious singing style, while featuring honest lyrics that cut to the heart of the matter. "It is a challenge trying to put everything I want to say or express into a 3 minute song. I think that it's important that each line is significant. Kind of like a movie short. In a movie short everything on screen has some symbolic value." Tonemah has received airplay in dozens of local markets throughout the US, Canada & even Alaska. In 2009 French record label, Dixie Frog Records, included the song "There's a Train" from the Welcome to Your Rainy Day as part of their compilation CD titled, Indian Reservation Blues, a multi-disc release that included Native American Musicians. Tonemah is currently in pre-production for his next album, which will coincide with the publication of a book co-written with author, Joseph Bruchac. Both the album and the book will tell the story of he and his family's journey after losing their Oklahoma home to a tornado. Tonemah's live shows – whether with a full band or an intimate acoustic set – always find him connecting with his audience. A singer/songwriter in the purest sense, Tonemah's performances combine the energy of rock, the intelligence of folk and the heart of country, to create a musical niche he calls, "Native Americana." At times the trickster, at times the son, at times the father, at times the seeker, Tonemah is always the consummate storyteller, a storyteller who offers meaning where the listener needs to find it. Tonemah co-producer, Larry Pacheco, says it best; "During a recording project the artist usually brings ego, attitude or talent to the table, and rarely honestly lays it all out on the line. Working with Darryl Tonemah was different, he brought himself." Just a few of Tonemah's live show highlights include performances at the the 2002 Winter Olympics, The Kennedy Center for the Performing Arts, The Smithsonian Institute's Museum of the American Indian, The Native American Music Awards Show, and The New Orleans Jazz Festival. He has shared the stage with such national acts as: Foreigner, Three Dog Night, Hootie & The Blowfish, Creedence, Johnny Lang, Rusted Root & Donna The Buffalo, among others. Darryl Tonemah is not satisfied with channeling his creativity solely in the area of music. 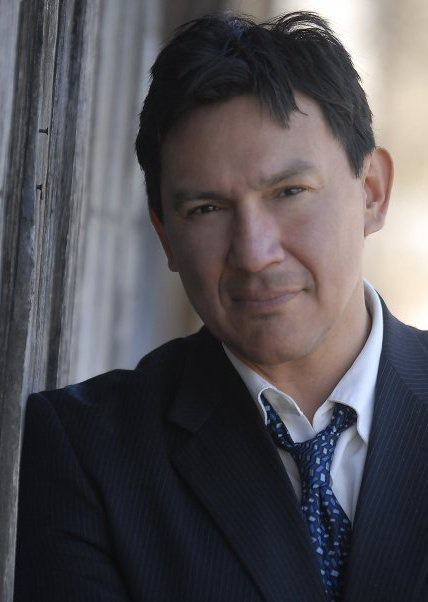 He is also an actor that has appeared in three movies – "DMZ", "The Last Of The Mohicans," and "The Cherokee Word for Water," which will be released nationally at the end of 2012. His next film project, "A Moment In December," was written by himself and Kristopher Brayley. Tonemah also had the lead role in the stage production "Tribe," which toured nationally to sold out audiences. His natural acting abilities have also sparked the interest of national television studios that are considering him for various roles. As an author, Tonemah has written a book on Health and Wellness, a screenplay that has garnered the interest of a nationally-renowned studio, and is writing a trilogy of books. As if musician, actor, and author are not enough, Dr. Darryl Tonemah also has a Ph.D. in Counseling Psychology and Cultural Studies from the University of Nebraska-Lincoln, a masters degree in Community Counseling, and three bachelor degrees in Psychology, Sociology and Gerontology. He currently travels to indigenous communities around the world teaching behavioral methods of change, and health and wellness. Dr. Tonemah also sits on numerous state and national boards addressing disparities in education, and health care among the Native Community; as well as the Board of Directors of the American Diabetes Association. Whether reaching out to Native communities through his many workshops & speaking engagements, or pouring it all out on stage, in front of the camera, in the recording studio, or putting pen to paper, Tonemah's personality always shines through as a man with a creative spirit, a compassionate heart, and a passion for life and his many pursuits.